Momma MAK is a mom, middle school teacher, and an avid Fortnite player. 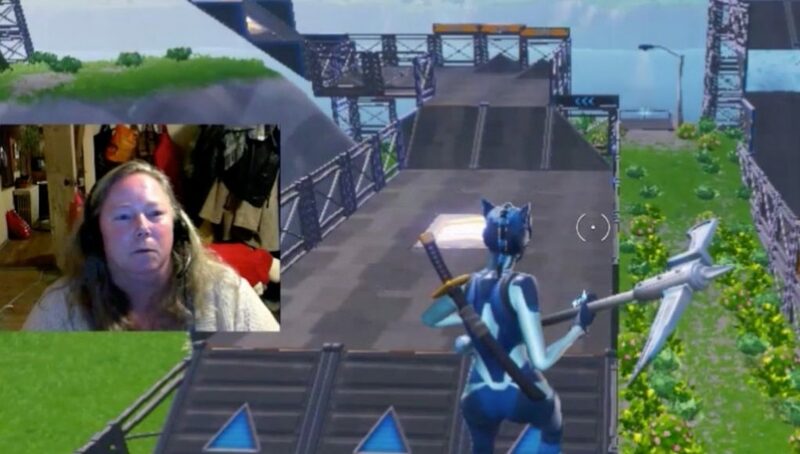 Her kids, and the ones she teaches in middle school, got her into the game and now have fun playing her creations in Fortnite Creative. Her most recent creation is a racetrack set in a tropical holiday vacation spot. The racetrack uses golf carts or ATVs and features speed boosts, bouncers and chillers around it. Just because she is a teacher and a mom, doesn’t mean she kiddy-proofed her racetrack. I’m sure it must have been crazy for her middle school students to find their teacher was now playing their favorite game. They soon took her under their wing and began teaching her the ropes. Be careful though, if you friend your teacher she may call you out when you’re up too late on a school night. You can explore her creation with the island code 7489-2231-7837.